Justin Moore @ Power Plant Live! 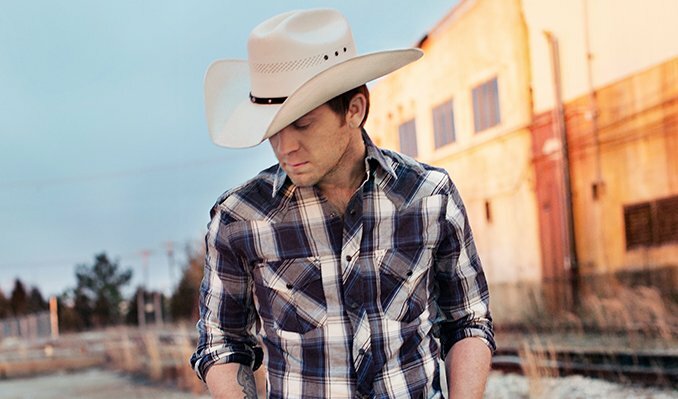 Arkansas native and 2014ACM New Artist of the Year Justin Moore recently released his newest single, “You Look Like I Need a Drink” which is currently making its way up the Country radio charts. This follows his second consecutive #1 album release with OFF THE BEATEN PATH. The project produced Justin’s fourth and fifth GOLD-certified #1 hits, “Point At You” and “Lettin’ The Night Roll.” Combined with two previous GOLD–certified albums, he’s sold over 7 million digital downloads. The Valory Music Co. recording artist has been featured on The Voice, Fox and Friends, Nashville, NFL Rewind, The Washington Post, People Country, USA Today and more. He has earned multiple ACM, ACA and ACC Awards nominations. In 2015, Justin was direct support on Brad Paisley’s CRUSHIN’ IT WORLD TOUR. Justin will hit the road this summer for Brantley Gilbert’s TAKE IT OUTSIDE TOUR. For tour dates and more visit, JustinMooreMusic.com.